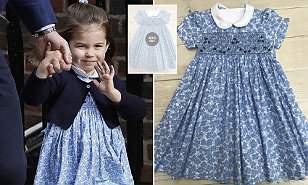 The pretty floral dress worn by Princess Charlotte as she arrived to meet her new baby brother for the first time sold out within hours of her wearing it. 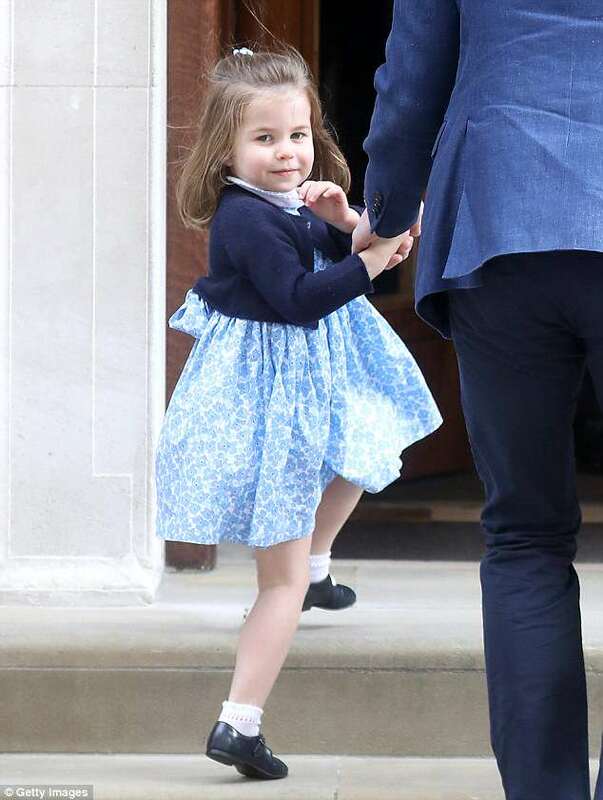 The two-year-old charmed the waiting press with a series of adorable waves and looked adorable in the pretty floral blue 'periwinkle' dress and dark navy cardigan, £45, by Amaia Kids. A pair of Mary Jane shoes and ankle socks finished the look. 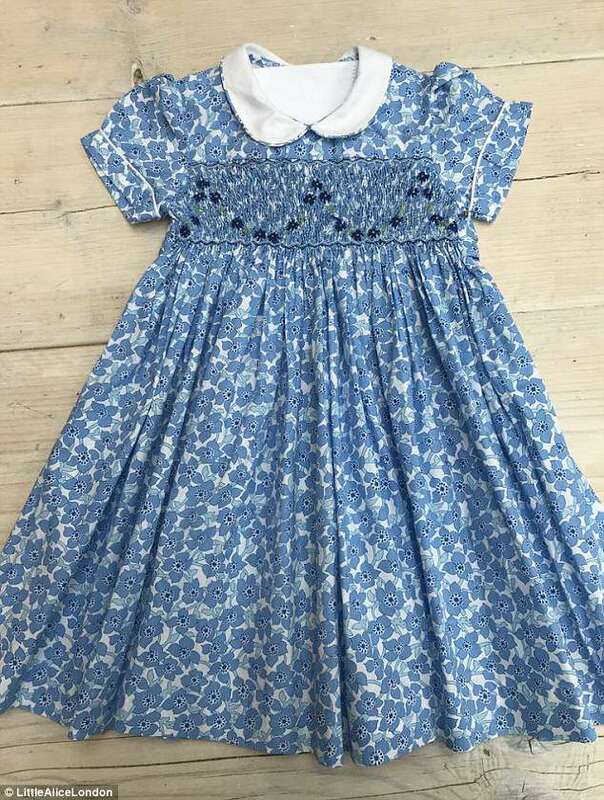 The frock, a £45 dress from brand Little Alice London, quickly sold out in all sizes last night. 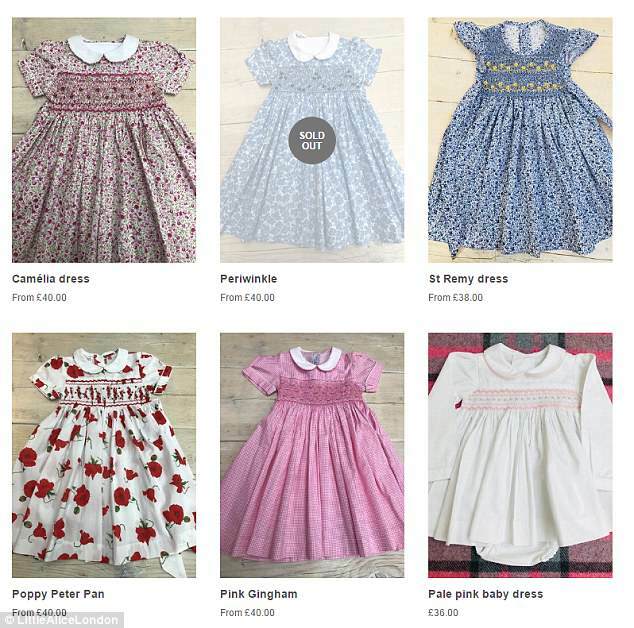 The company behind the dress is founded by Alice Avenel, a former schoolfriend of the Duchess of Cambridge's from Marlborough College. Kate and William attended Avenel's wedding to French banker Gerald Avenel in 2012. 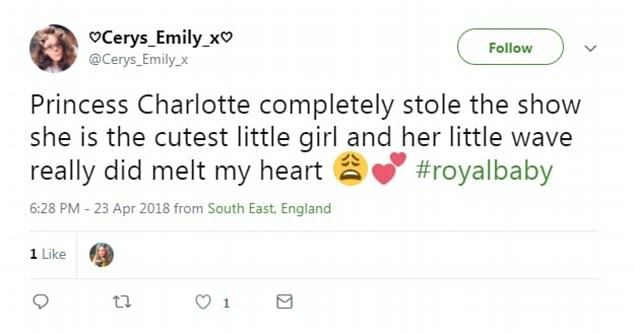 And it's little surprise that Princess Charlotte's attire came under the spotlight; her brother was clad in school uniform and looked shy under the media glare, while Charlotte appeared the consummate pro in spite of her tender years. 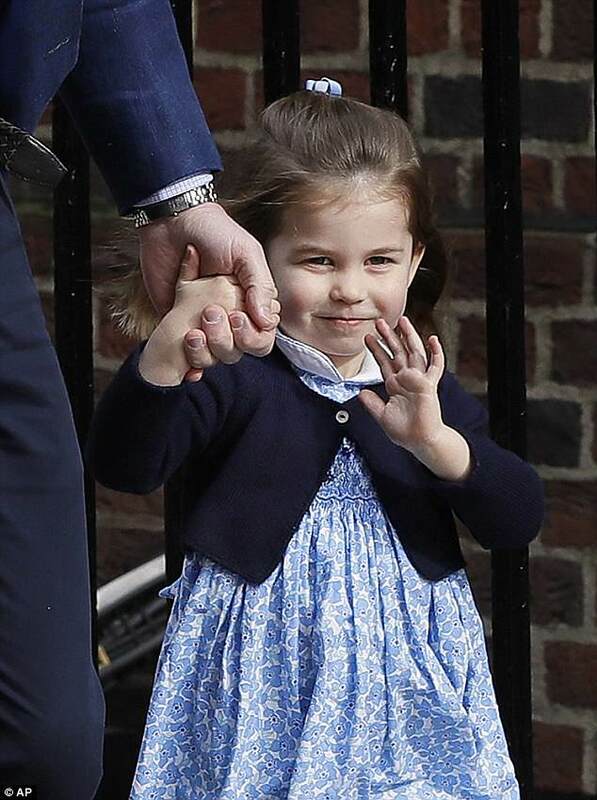 She smiled and greeted those waiting outside the hospital doors as she arrived with her father and Prince George. Prince William went to collect his two eldest children to meet the newborn before swiftly returning to the hospital with them in each hand. 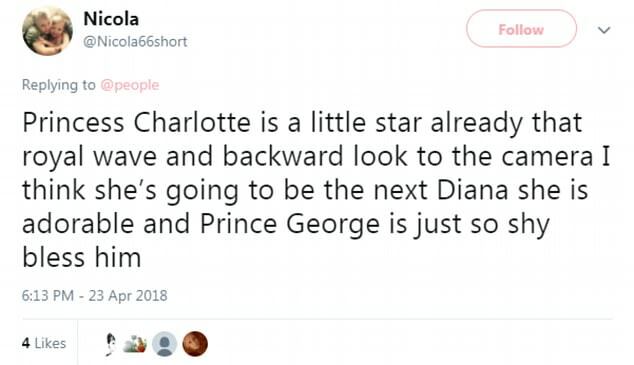 Adoring fans said that the young princess was 'legit the cutest thing ever' and that she could be the 'next Diana'. 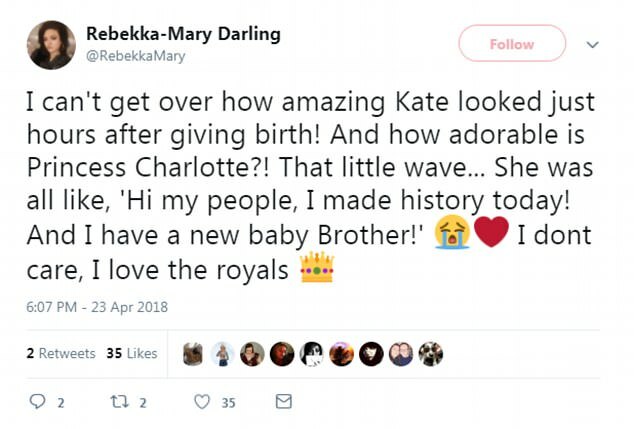 Another added that she is the most adorable little girl she had ever seen, especially due to her wave. 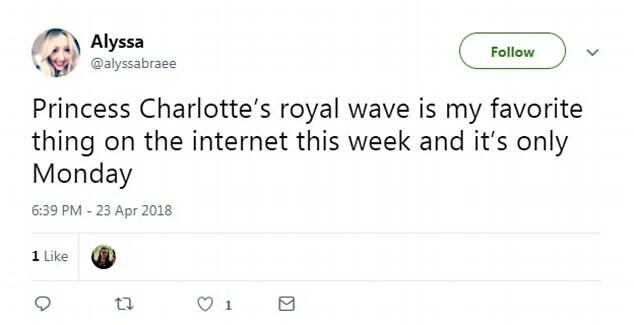 Meanwhile another user said that Charlotte's royal wave was her favourite thing on the internet this week 'and it's only Monday'.